TINLEY PARK, IL--(Marketwired - December 14, 2016) - On Saturday, December 10th, along with radio personality, Roe Conn from Chicago WGN Radio, Apple Chevrolet spread holiday cheer to needy children by donating many new, unwrapped toys and games. In the spirit of giving, Apple Chevrolet opened their doors to local Chicagoland residents to collect donations for U.S. Marine Corps Reserve Toys for Tots after a previously successful 2015 toy drive. In collaboration with WGN Radio, attendees enjoyed a fun filled afternoon including complimentary food and beverage and the opportunity to win great prizes such as Chicago Blackhawks tickets. Those who donated were also able to sample food from The Black Sheep; an Orland Park restaurant serving a unique style of bold-flavored foods and the first Orland Park restaurant to feature renowned items on their menu. 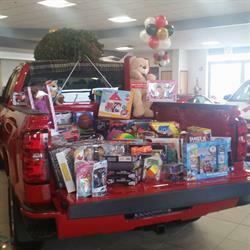 "It is important that we remember to give back to the community during the holiday season and bring smiles to many faces of those in need," said John Alfirevich, Dealer Principal at Apple Chevrolet in Tinley Park. Many families year after year donate to Toys for Tots, whose mission is to collect new, unwrapped games or toys and distribute them to less fortunate children in the surrounding community. The Toys for Tots program allows children to experience the joy of Christmas and for everyone to play an active role in children's lives, one of the nation's most valuable resources. For three months out of the year Toys for Tots unites communities for a common cause. "We are grateful to have been a part of such a great cause and a convenient place for so many to drop off countless donations," said Daniel Little, Internet Director at Apple Chevrolet in Tinley Park. If you're looking to be a part of a great cause, Apple Chevrolet is still accepting donations through December 18th. Unwrapped games and toys can be donated at 8585 West 159th Street, Tinley Park, IL 60487. A Chicago Chevrolet dealer, located in the southwest suburbs of Chicagoland; Apple Chevrolet of Tinley Park is the dealership to trust when it comes to purchasing your next new or pre-owned vehicle. With their reputation for excellence, they will handle your purchase, financing, and ongoing service needs in the most professional and courteous manner. 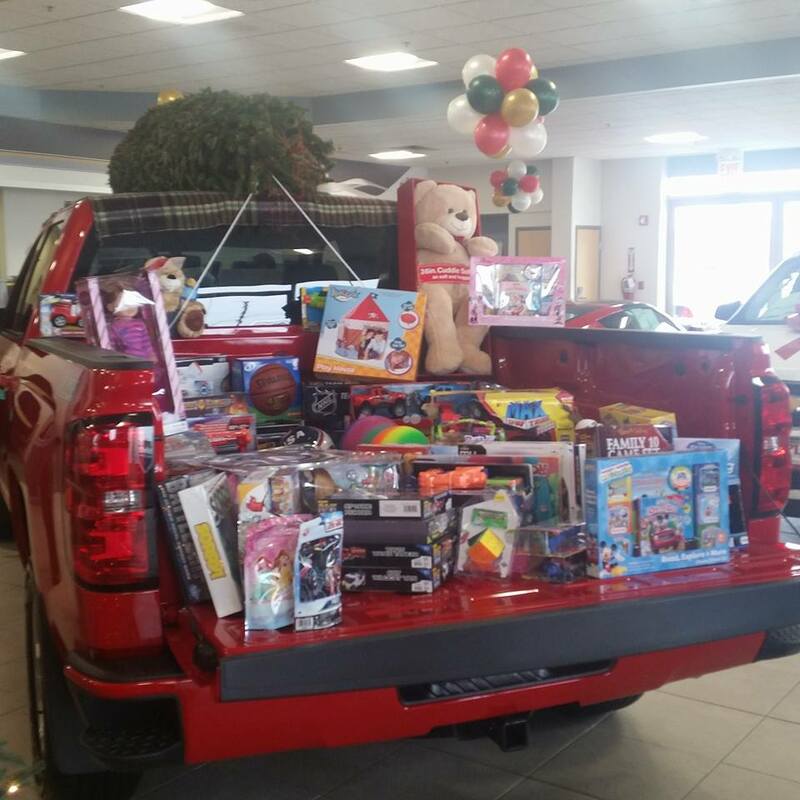 Apple Chevrolet in Tinley Park, IL spread holiday cheer to children in need with WGN Radio personality, Roe Conn.